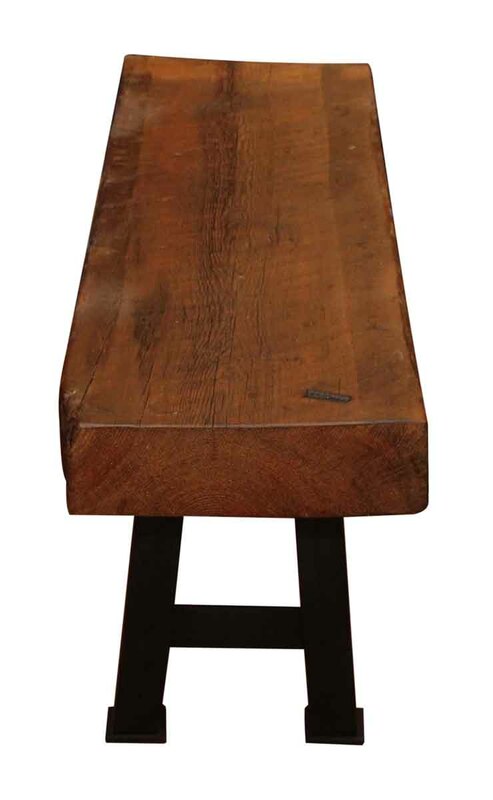 SKU: N245736 Categories: Altered Antiques, Farm Benches, Farm Tables Etc. 3 in. 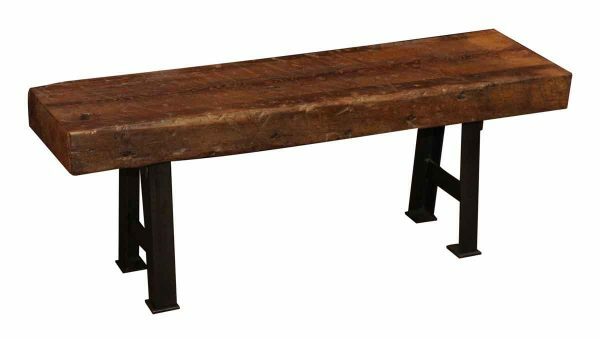 thick solid heart pine wood beam bench with cast iron A frame legs made by Olde Good Things. Rustic surface will vary. 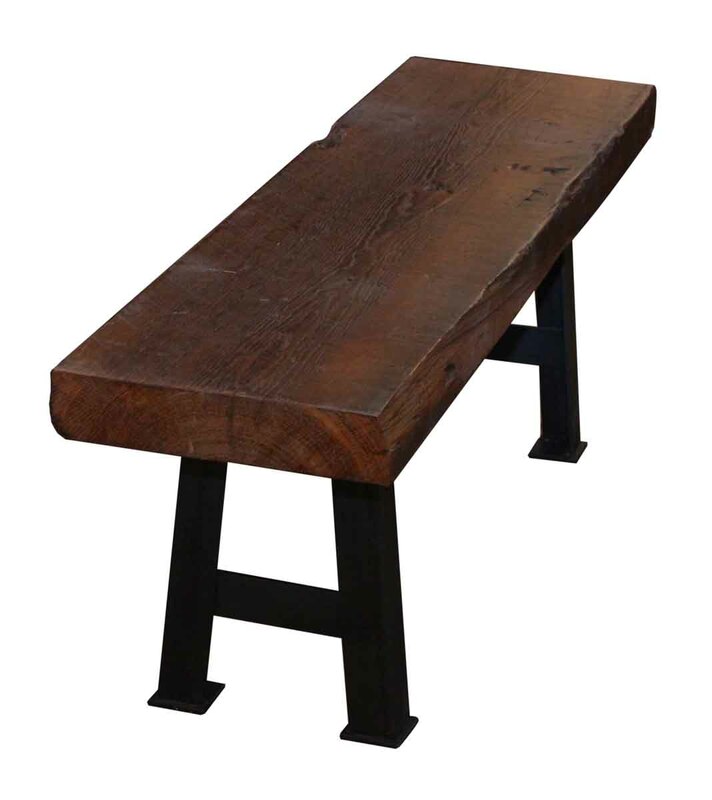 This bench is made to order. Please allow 6 to 8 weeks for manufacture.